To include or not to include — that is the question! As I write the biography of my great-grandfather, it is obvious that he is the main character, but who else do I include as supporting cast? His wife and four sons were a main influence in his life, and I feel that I know enough about them to do them justice. But what about the myriad of friends, neighbors, co-workers, and other family members that peopled his word? Since I know so little about any of them, do I mention them only by name? Or do I once again slide over the boundary between biography and fiction and flesh some of them out as real people? I have seen examples of other writers doing that very thing in order to carry the story along. Whether or not I can find enough confidence in my ability to create characters on my own remains to be seen. 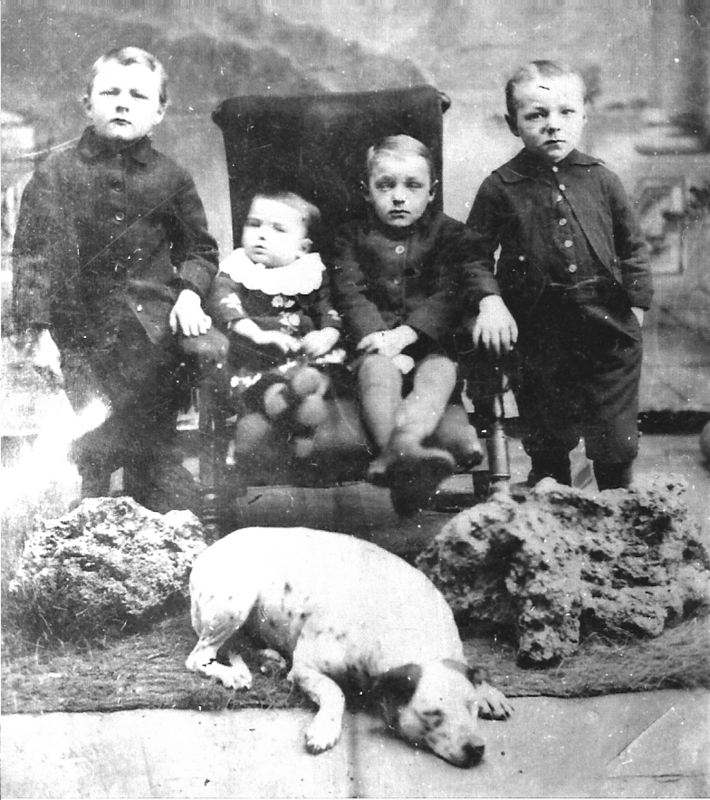 Dr. Blaine’s sons: Ernest, William, Earl, Harry S.